On March 21, 1931, Homer Wellington Minus was born the fourth child of the late Luvenia Roberts Minus and George Greenfield Minus in Wyoming, Delaware. He was educated at Mt. Olive School, Magnolia (Little Heaven), Delaware (grades 1-6); Union School, Frederica, DE (grades 7 & 8); Booker T. Washington, Dover, DE (grades 9 &10); Delaware State College Laboratory High School (grades 11&12). Homer was one of nine students who participated in the litigation spearheaded by Louis L. Redding, Esq. to end racial and ethnic segregation in the colleges and universities in Delaware. As a result of the court ruling (Parker vs The University of Delaware) in 1950, he was able to attend the University of Delaware. Throughout his he remained a catalyst for change and equality. In 1953, Homer was the first African American Delawarean to graduate from UD in medical technology. He was inducted into the United States Army and served his country in the Medical Corps at Walter Reed Army Medical Center in Washington, DC. In July 1955 he enrolled in Temple University School of Dentistry. On October 29, 1955 he married Barbara E. Simpers, and to this union was born two daughters, Carla and Felicia. After graduating from Temple University School of Dentistry, Dr. Minus opened a dental practice in Philadelphia and in 1966 moved to Dover, Delaware to continue his dentistry practice. He attended the Christ Episcopal Church. Later, he joined the Whatcoat United Methodist Church family and accepted the call to ministry. 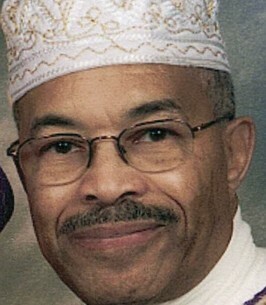 Upon graduating from Howard University School of Divinity, he became an ordained deacon in the United Methodist Church and was appointed to the Bridgeville Charge. In 1989, Rev. Dr. Minus was ordained Elder. He has served as interim pastor for Wesley Chapel in Lincoln, Delaware and provided spiritual guidance at Whatcoat UM Church, Dover in teaching, preaching and quiet leadership. His dedication and devotion to the Soup Kitchen was outstanding and his service was deeply appreciated. In June 2012, Rev. Minus was congratulated by the Annual Conference for twenty-five years of service. On October 29, 2005 Rev. Minus and his wife Barbara celebrated fifty years of marriage. Always interested in enhancing the lives of the youth, Rev. Minus, along with Rev. L. M. Livingston and Rev. A.A. Arrington, founded the Howard Bailey Life Enrichment Program, a rites of passage for youth. Additionally, he has chaired the Wesley Foundation at Delaware State University which offers ministry to college students. To send flowers to the family of Rev. Dr. Homer W. Minus, please visit our Heartfelt Sympathies Store. We encourage you to share any memorable photos or stories about Rev. Dr. Homer. All tributes placed on and purchased through this memorial website will remain on in perpetuity for future generations. To the family of Dr. Homer W. Minus, Yes it is with pain of heart that we strive to move on as we loss those we love. What a wonderful hope we have of a future time as Isaiah33:24 says “ And no reside will say “I am sick.” The people dwelling in the land will be pardon for their error. Please accept my deepest condolences for the loss of your loved one. God is not ignorant about those sleeping in death. They are kept in his memory. 1 Thessalonians 4: 13-18, God promise they will be resurrected into a paradise condition on earth. I hope this gives you comfort at this challenging time.